For more information contact the PCCE office. Taber Christian School is an alternative school program within the Horizon School Division, located in Southern Alberta. 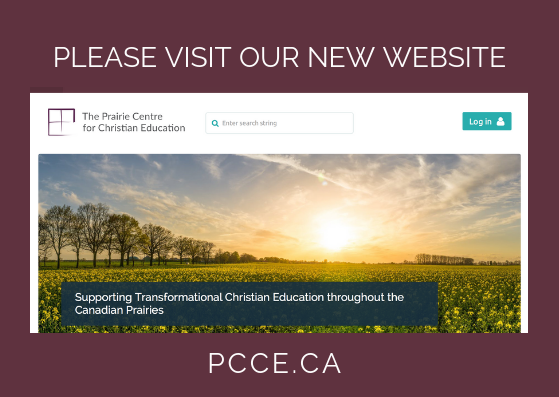 At Taber Christian their mission is "to provide a Christian educational environment in the community of Taber, which uses biblical teaching to prepare all students to reach their full potential, so they can serve God and others with a Christ-like attitude". They invite those who are committed in their faith walk with Christ to consider the opportunities that are available at their school. The position mentioned is set to commence August 27, 2018 and conclude June 27, 2019. The Middle Campus of Richmond Christian School is a progressive and collaborative community of dynamic teachers who are seeking a like-minded full-time teacher for our French program. The Middle Campus is home to 235 active and energetic students! The successful applicant’s responsibilities include teaching French to all of our grade 6-8 students. We are considering adding the AIM program to our grade 6 program so experience, or a willingness to be trained, with the AIM Language program is an asset. Rimbey Christian School in Central Alberta invites applications for the full-time upper elementary (Grade 4-6) teaching position to begin August 2018. For more information please click the link below. Rimbey Christian School in Central Alberta invites applications for the full-time teaching principal position. This position will include about 50% administration and 50% teaching in an area of strength. The successful candidate must hold or be eligible to hold a valid Alberta Teaching Certificate and have at least 6 years of teaching experience. Preference will be given to applicants with leadership training, master’s degree and/or previous administrative/principal experience. The successful applicant must be a member of a Christian church and preference will be given to applicants who are committed to relocating to the Rimbey area. For more information, including application procedures and salary information, please click on the link below. Applications are sought by September 21st but will be accepted until the position is filled.